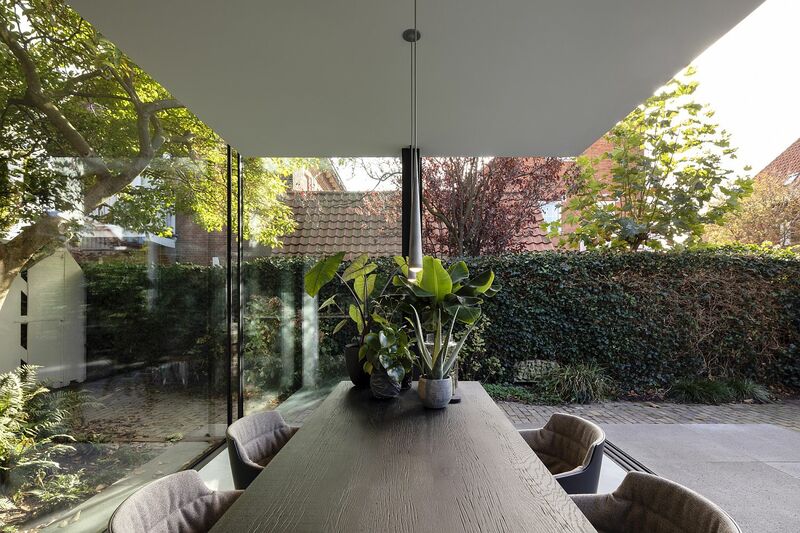 Finding a beautiful balance between the old and the new, the Fig Tree House in La Haya, The Netherlands, combines greenery with a variety of textures and an open, modern ambiance. 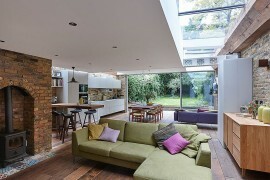 Revamped and extended by , the original brick house was built in 1927 and it still retains much of its classical charm. 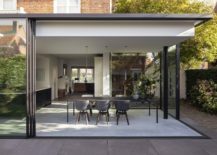 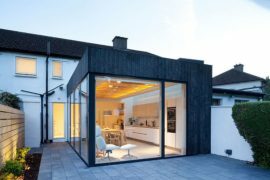 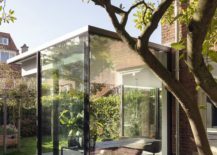 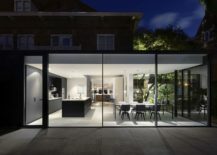 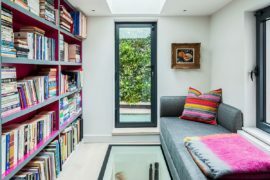 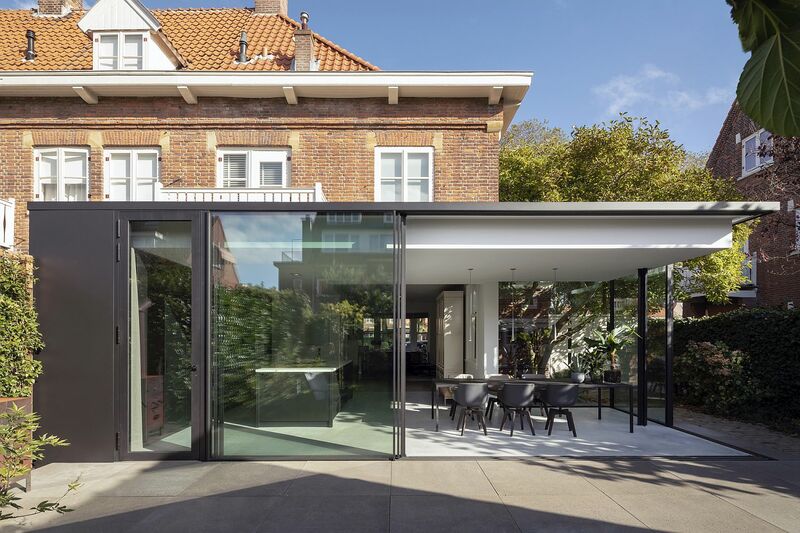 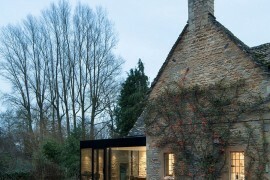 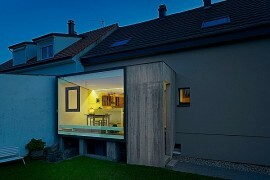 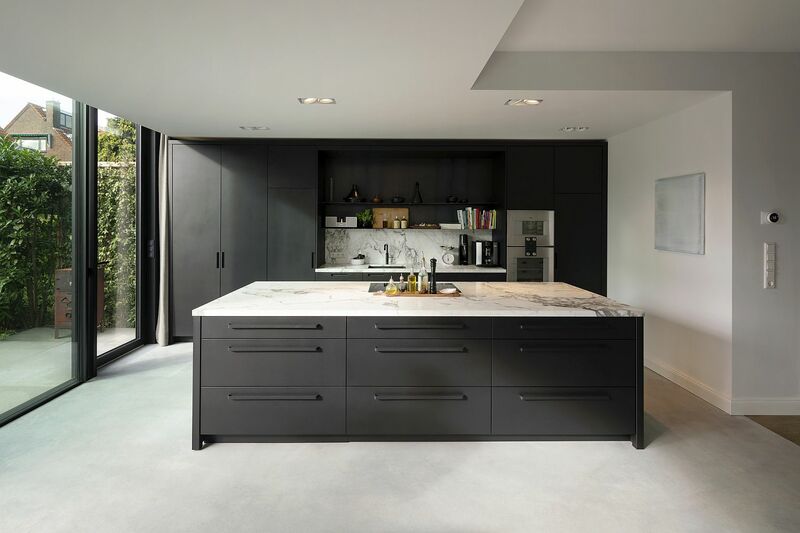 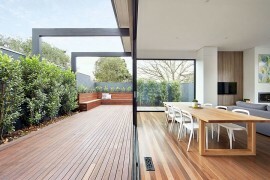 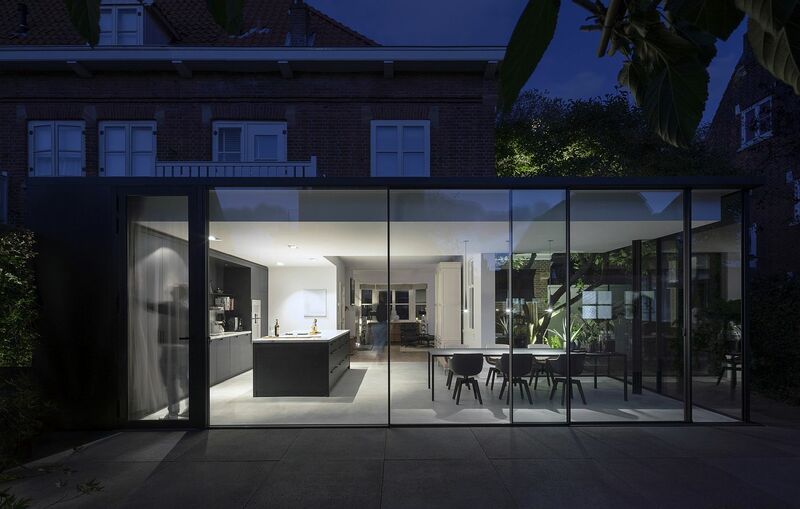 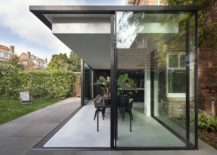 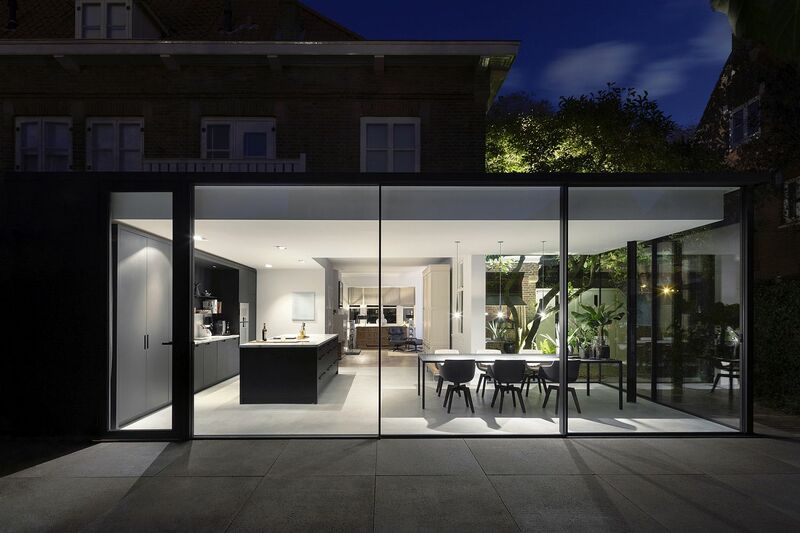 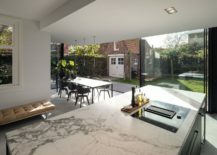 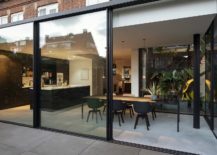 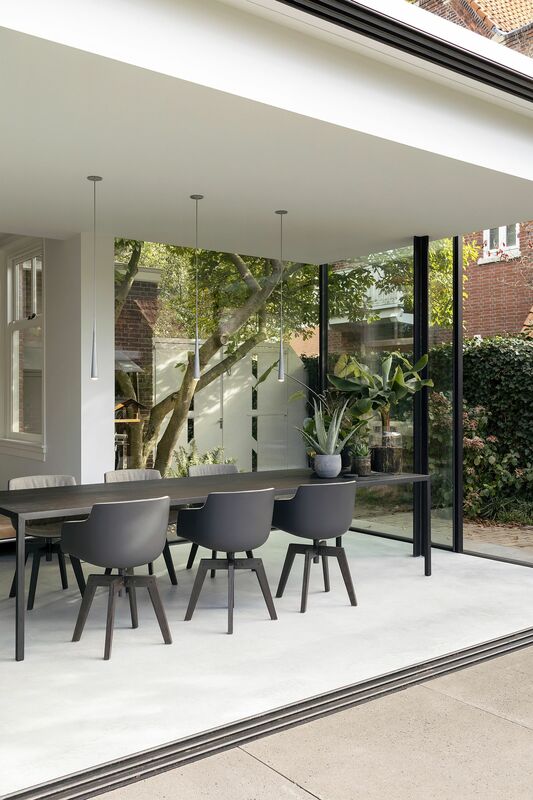 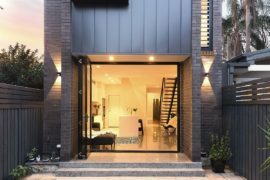 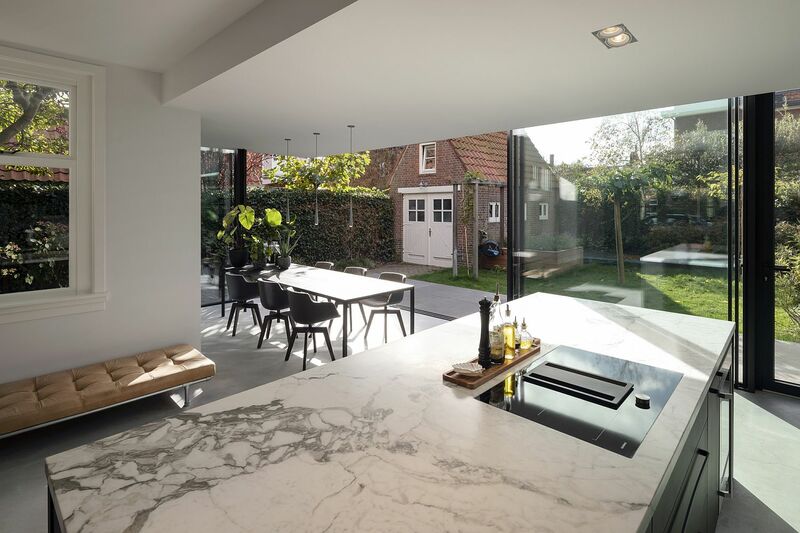 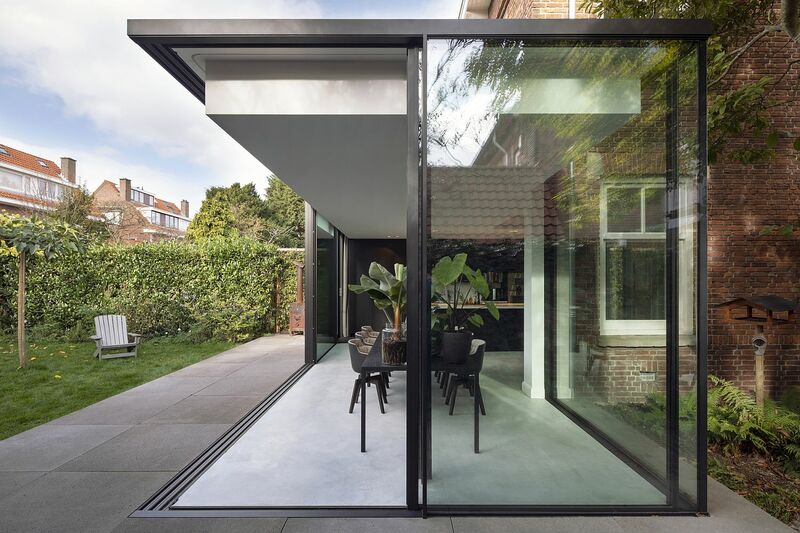 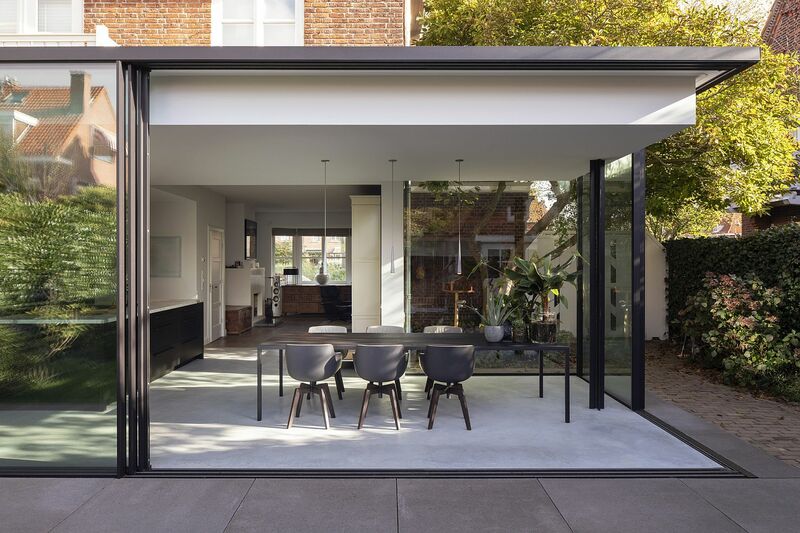 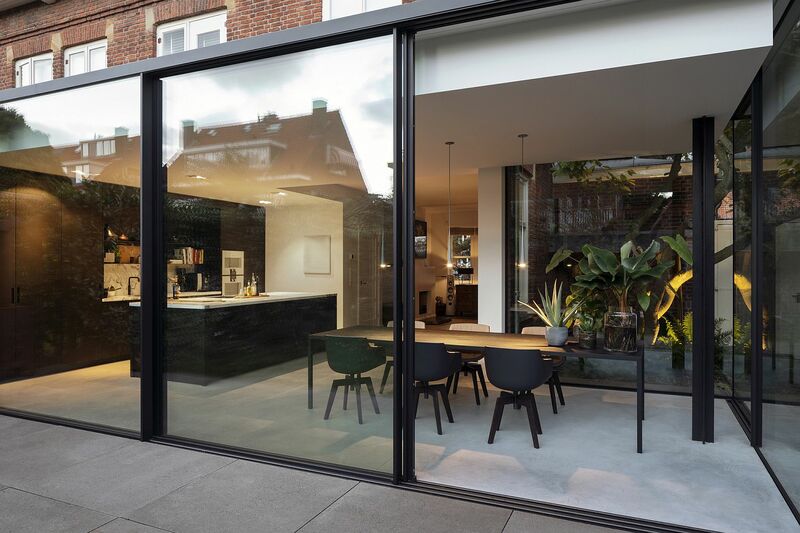 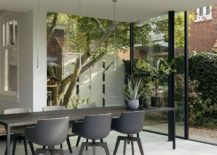 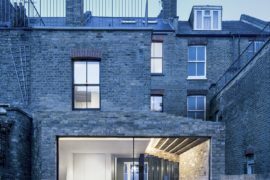 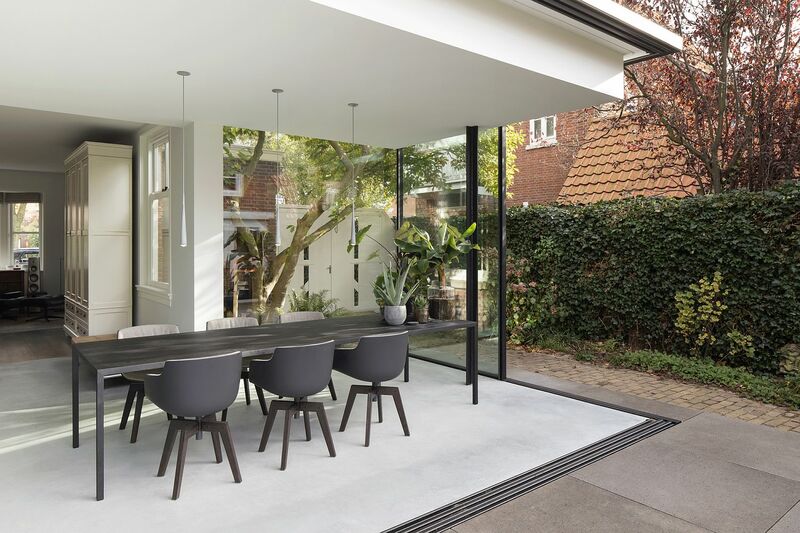 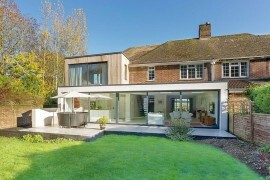 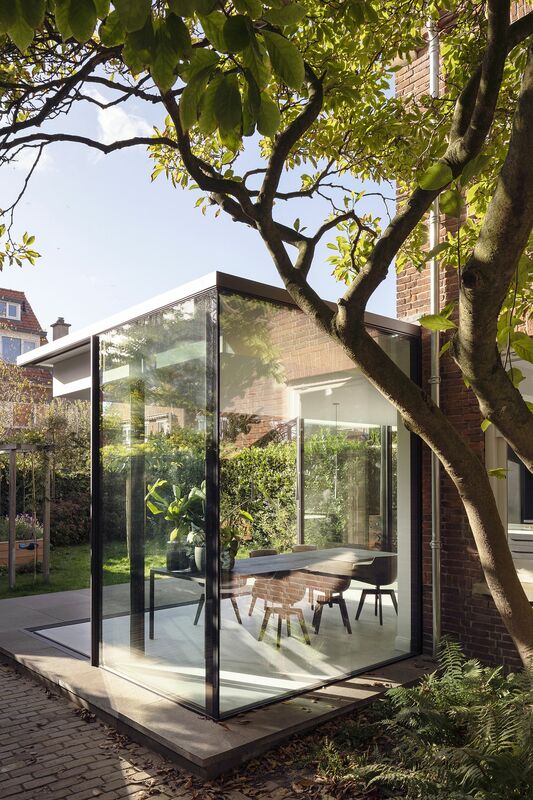 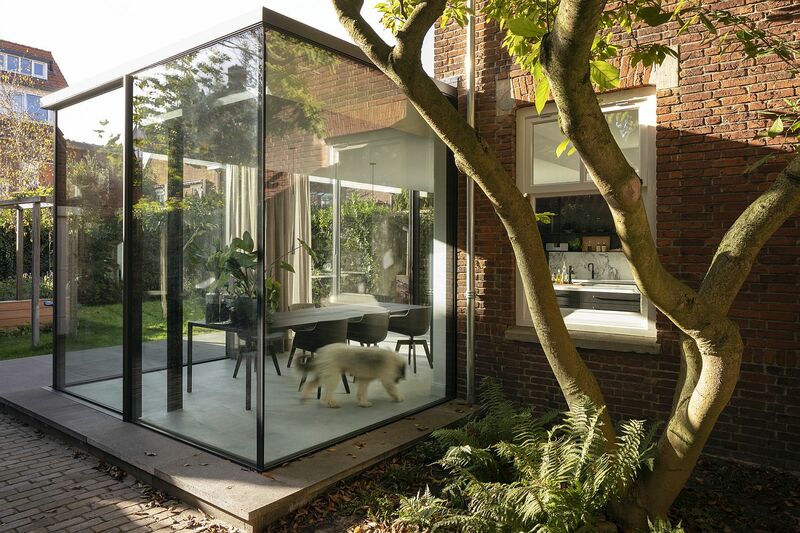 Its new glass extension finds a way to extend the loving area by using a series of glass walls and sliding floor-to-ceiling glass doors along with concrete walls. 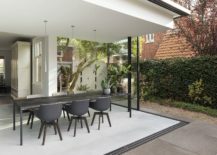 The new dining area and kitchen feel more semi-enclosed than like a part of the traditional interior as the existing Fig tree outside becomes a part of the narrative indoors.